OMEGA delivers an unmatched legacy of vehicle security, remote start, & convenience products. 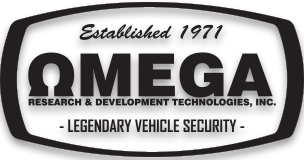 Since 1971, Omega thrives on a tradition of unsurpassed quality & value with legendary vehicle security & remote start brands such as Excalibur & K-9. We're continuing that tradition with more lifestyle innovations year after year!